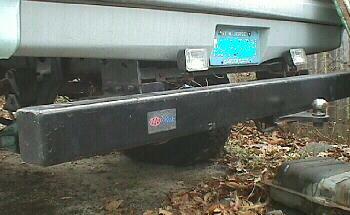 This is the rear bumper on my 77 Chevy. It was laying in the bed of the truck when I bought it. The previous owner took it off because he hated the way it looked. Made of strong box steel, it's stood up to abuse well. It took 3 of us to mount it on my truck. 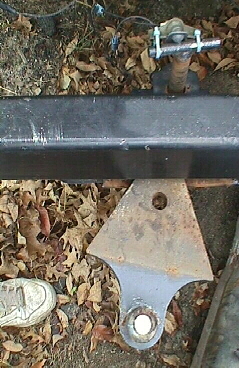 With a 3 inch body lift, the Lund Tailmate fits perfectly. 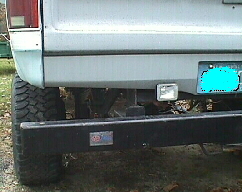 The bumper is low enough to stop cars from going under my rear end. Also makes towing easier. 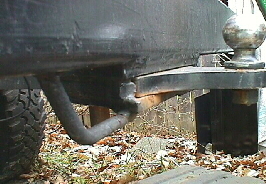 No drop hitch needed. 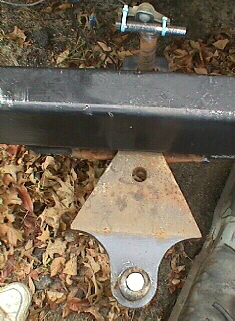 It's 24" from my hitch to the ground. 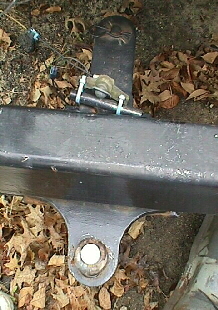 It has a center mounted trailer hitch mount. There is a pin on the backside, that holds the tongue in. Makes hitching up a trailer much easier. 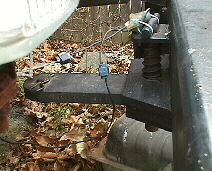 It is very adjustable to get the ball and trailer lined up and attached. Then get in the truck, and back up. The tongue locks into place with the spring loaded pin. Loud enough to here the clang in the cab. Then I'm on my way, no need to get out. There is a second safety pin, just in case. E Bay Motors - Parts, shop manuals and more!